Today was a great and historic day for Pittsburgh. In the wake of continually startling homicide rates and after the hate-fueled Tree of Life massacre on Oct 27, Pittsburgh’s City Council today voted to pass three common-sense gun laws: a ban on the use of assault weapons within the city limits, a citywide Extreme Risk Protection Order bill, and a ban on firearms accessories (including high-capacity magazines) that dramatically increase the firepower of semi-automatic weapons. 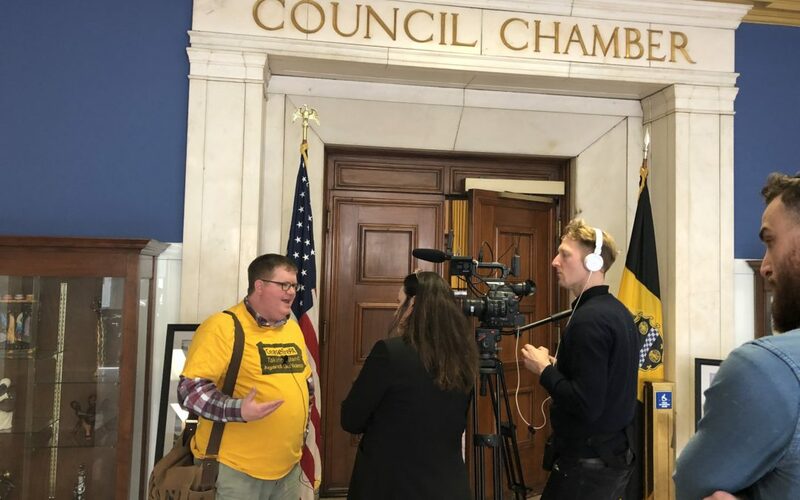 We at CeaseFirePA are proud of Pittsburgh for standing up for the safety of the community, both in neighborhoods where someone is shot nearly every day and for those most vulnerable to hate crimes, in the absence of continual inaction by Harrisburg and in Washington D.C. We believe that today’s actions are an important first step towards comprehensively implementing common-sense gun laws designed to prevent more tragedies, both by keeping firearms out of the hands of those who should not have them and by limiting access to the guns and ammunition that can cause the most damage when they are used. While legislation is not the only solution to this plague of gun violence that ravages Pittsburgh, Pennsylvania, America, and the world, we believe that is a solution that can save lives while we work together with all populations and with all levels of influence to stem the tide of gun violence from the ground up. Thank you, Councilwoman Erika Strassberger and Councilman Corey O’Connor, for leading the charge this time around.